Men want size and shape. Women want to be toned, not “too big”. Both want to be lean. Either way, they both should be doing the same thing in the gym. LIFT. Not only lift, but lift HEAVY. I have heard so many people express their concern with lifting heavy, to me they sound more like excuses. Guys will come into the gym and really not give themselves credit and take the easy way out. Girls are scared they are going to look bulky or too big and lose their feminine curves. Yet both want to look like that fit magazine cover model [who by the way, lifts heavy]. Here are five reasons why everyone should go hard and lift heavy. 1. Lifting heavy burns more calories. Lifting weights elevates post-workout energy expenditure significantly more than steady-state cardio due to the metabolic stress it causes [you will burn more calories simply sitting out your couch with muscle growth/repair than you would post cardio workout]. Keeping your heart rate up for a full hour workout, training at a higher intensity with heavier weights once or twice a week, is just as effective as a typical cardio workout, with additional benefits. 2. Lifting heavy burns more fat. After a heavy bout of strength training, you continue to consume additional oxygen in the hours and even days that follow. This is known as excess post-exercise oxygen consumption, or EPOC. When your body uses more oxygen, it requires more caloric expenditure and an increased metabolic rate, including burning more fat. 3. Females – Don’t want to get bulky. Lifting heavy is what gives your muscle shape. The common fear of becoming bulky is very hard to do. Cardio may help you shed excess pounds, but it’s the weights that will help you sculpt the strong, toned look you’re going for. Unless your genes are coming from the Hulk, it is pretty hard to get bulky. You will tone before you bulk! Female bodybuilders who look really bulky eat, train, and take supplements for years specifically so they can look like that! 4. Men – Want to get bulky. You still need to use weights that completely exhaust your muscles by the end of a set. If you’re going to be doing five sets of 10 repetitions of a barbell squat, you should barely be able to stand for the last three repetitions. That is the kind of tough stimulus a skinny guy needs to build muscle. “I don’t think I can do 10 reps at this weight!” Perfect, you don’t need to – as long as your last rep is your max! That’s where results come from, it’s that last one that counts the most no matter what the number it is. 5. Seniors – should be lifting too. Lifting weights stresses the bones in a positive way that cause the bones to react by growing stronger. Resistance training will prevent osteoporosis more than taking vitamin D/calcium will. We all want to feel strong and confident. Whether it’s fitting into your favourite jeans, moving heavy furniture, playing with the kids, or dealing with a stressful career, resistance training can benefit all aspects of your life. Set yourself up for success. Add weights to your fitness plan and feel stronger, healthier, and more confident! For detailed workout plans contact kacperkulig@hotmail.com. - Kacper Kulig is an ISSA certified PT, Crossfit L1, Fitness Show/Nutrition Coach, and fitness model and competitor. 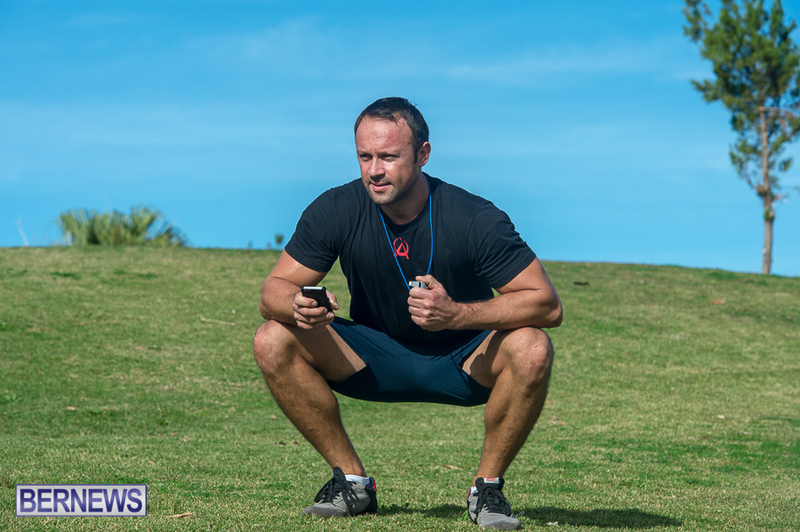 To learn more, visit the Alchemy Fitness Bermuda Facebook page and Mr. Kulig’s Facebook page. some of us have been doing heavy lifting most of our lives and have suffered from all sorts of infirmities,i.e. back aches, muscle spasms, carpel tunnel, etc..we have even undertaken to do it so called” correctly”, the bible says ‘bodily exercise profits little”(1 Timothy 4:4-16).The above advice may be for a certain group of people but not certainly for all including “grandma” who could easily injure herself if not SHOWN correctly how to lift. Lift properly. Proper form is everything.